Sign up to receive a special link to search the Directory as well as subscribe to our weekly FREE Newsletter and find out why more online sellers choose Worldwide Brands for true wholesale & dropshipping suppliers! o Search for Wholesale Brands & Products! for true wholesale & dropshipping suppliers! • Search for Wholesale Brands & Products! been used for the Preview. CLICK HERE to access the Preview again. 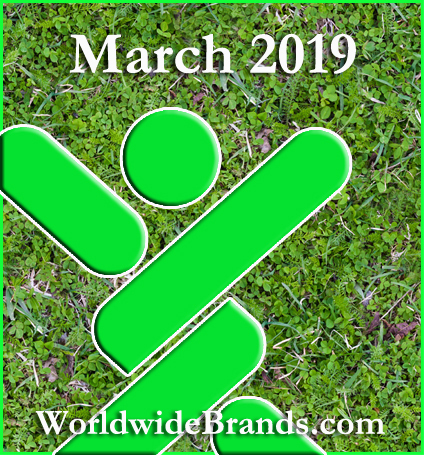 This is just a quick note to let you know what we added to the Worldwide Brands Directory of Certified Wholesalers for the month of March 2019 for our members! We added suppliers, that together, offer a total SKU count of over 5,300 SKUS! Our members at WorldwideBrands.com, can setup notifications when we add new suppliers to categories that interest you. So take a look in your My Account area to set those up and then every time you login, you can see the newly added suppliers assigned to that category on the right side of the Directory. If you are not a member yet, check us out today! This entry was posted on Wednesday, April 17th, 2019 at 9:43 am	and is filed under What's New. You can follow any responses to this entry through the RSS 2.0 feed. You can leave a response, or trackback from your own site. ...celebrates a milestone with BBB! ...Wholesale Directory tips the scale! The latest wholesale news, tips and Drop Ship info delivered right to your inbox!